The active contour model is a method to fit open or closed splines to lines or edges in an image . It works by minimising an energy that is in part defined by the image and part by the spline’s shape: length and smoothness. The minimization is done implicitly in the shape energy and explicitly in the image energy. In the following two examples the active contour model is used (1) to segment the face of a person from the rest of an image by fitting a closed curve to the edges of the face and (2) to find the darkest curve between two fixed points while obeying smoothness considerations. Typically it is a good idea to smooth images a bit before analyzing, as done in the following examples. 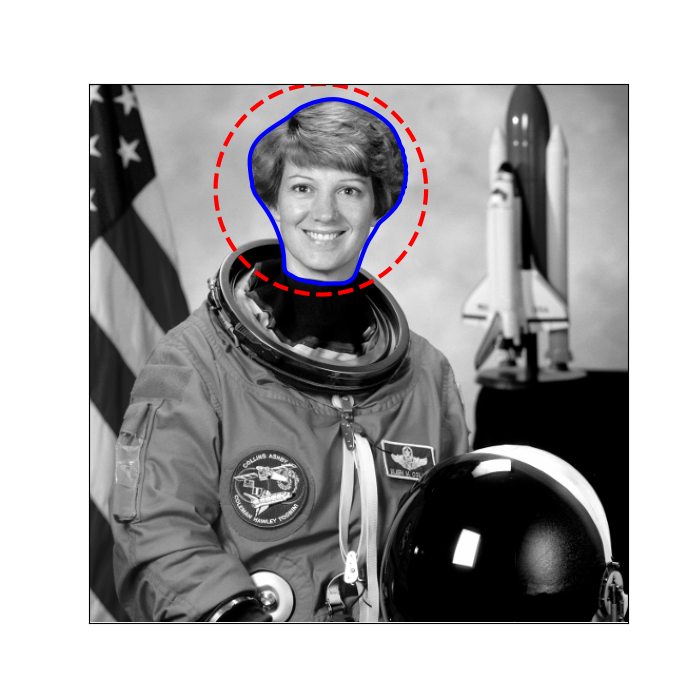 We initialize a circle around the astronaut’s face and use the default boundary condition bc='periodic' to fit a closed curve. 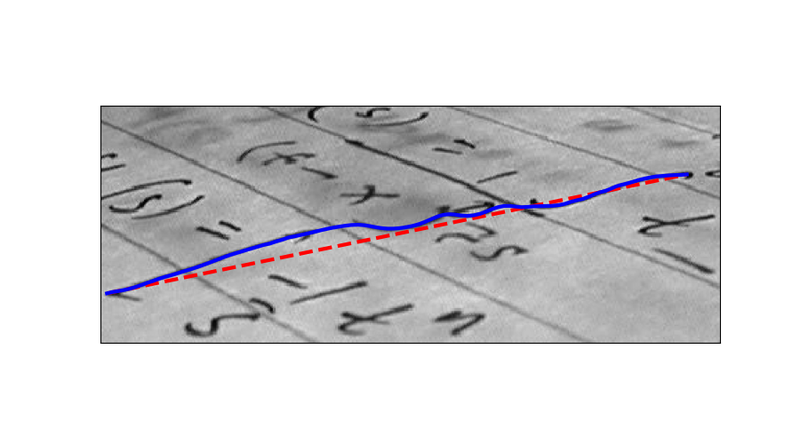 The default parameters w_line=0, w_edge=1 will make the curve search towards edges, such as the boundaries of the face. Here we initialize a straight line between two points, (5, 136) and (424, 50) , and require that the spline has its end points there by giving the boundary condition bc=’fixed’ . We furthermore make the algorithm search for dark lines by giving a negative w_line value.